"Transformation Vallejo" is one of numerous similar church-based political initiatives springing up in cities and towns across America under the guidance of internationally active evangelist Ed Silvoso, whose closest movement colleague has called upon her followers to pray for the destruction of California's biggest labor unions. That union members can break free of the entrapment of the unions political pressure"
The anti-union thrust of Silvoso's numerous "transformation" initiatives is on display in Newark, NJ - which Ed Silvoso's ministry touts as a shining example of "transformation" in action. In late 2010, despite Newark police and firefighter union lawsuits filed to stop the mass layoffs of public safety workers, Newark mayor Cory Booker, who was strongly backed by Ed Silvoso's Transformation Newark effort, fired 167 of Newark's police officers. By November 2012, tensions between mayor Booker - who has since moved on to a United States Senate seat, and Newark union leaders had deteriorated the the point where a surprise Cory Booker move to pack the Newark City Council led to an incident in which Newark's SEIU Local 617 union President Rahaman Muhammad was doused with pepper spray. At the center of the Vallejo, CA controversy is Vallejo pastor Anthony Summers, currently running for Vallejo City Council. Summers has been publicly accused of actively partnering with anti-LGBTI California groups, such as the Pacific Justice Institute and the Capitol Resource Institute, to block an anti-bullying initiative in Vallejo Public Schools in 2009. 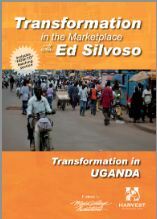 But Summers is also an enthusiastic participant in the effort known as Transformation Vallejo, which is so directly and heavily under the inspiration of international evangelist Ed Silvoso that the Transformation Vallejo website features free PDF downloads of four of Silvoso's copyrighted books and features "discipleship" courses based on Silvoso's writing. "Imagine now a college student serving a hamburger at McDonalds unto the glory of God. Visualize a maid cleaning rooms and making beds in a hotel unto the glory of God. Silvoso's vision, which all "labor is worship" and corporate CEOs are "marketplace ministers", foresees a benevolent economic authoritarianism in which church authority becomes fused with corporate financial power. In his book "Anointed For Business", Silvoso calls Jesus a "Profitable Entrepeneur" and declares, "Jesus tunic was seamless, which made it the first-century equivalent of an Armani suit." 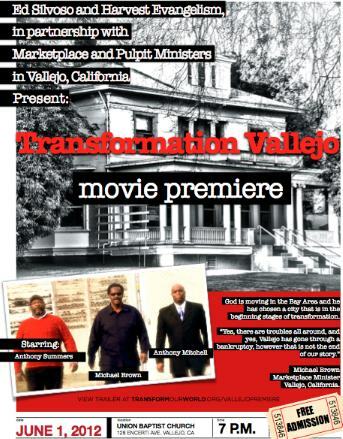 In ideological and intellectual terms, Transformation Vallejo - whose courses on "discipleship" are based almost wholly on Ed Silvoso's writing - is almost wholly an outgrowth of Silvoso's vision, and pastor Anthony Summers is so deeply enmeshed in Silvoso's Transformation Vallejo project that he is one of the three central characters featured in a 1/2-hour special Silvoso-sponsored video, "Transformation in Vallejo", touting the Silvoso-inspired effort. 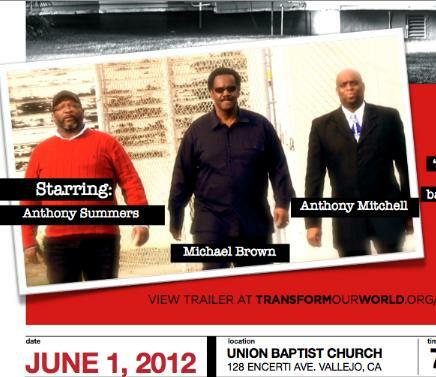 In Transformation Vallejo, trailers of which are posted by Ed Silvoso's ministry on Youtube, and which is currently sold by both Ed Silvoso's ministry and pastor Anthony Summers, the video shows Vallejo businessmen Michael Brown and Anthony Mitchell, identified as "marketplace ministers", striding side by side with pastor and Vallejo City Council candidate Anthony Summers, who is identified as a "pulpit minister" who will, along with the others, "bring transformation to out city". Michael Brown, pastor Anthony Summers' current employer, was one of the featured speakers at Ed Silvoso's 2013 International Transformation Network / "Transform Our World" conference in Hawaii. [videos, below: for an appreciation of the ideological extremity of the global charismatic Christian movement behind Transformation Vallejo, known as the New Apostolic Reformation, consider the following two short video excerpts, from Ed Silvoso's 2008 annual International Transformation Network conference in Argentina (which since 2009 has been held near Honolulu. Hawaii). In the first video, Ed Silvoso encourages his followers to exterminate, like "rats", their opponents. "58 high ranking army officers in the Phillipines were introduced to a Transformation teaching based on the Purpose Driven book - Purpose Driven Life book. 17 generals received the lord and one of those generals who received the Lord in April was appointed the national chief of police in September, that's just a few months later. And one of the first orders that he signed was that the 184,000 police officers in the Philippines, that's entire police officer of a nation, should undergo transformation training within 6 months or be fired." I checked local media in the Philippines - the program Silvoso described was real, though I couldn't tell if was as extensive as Silvoso claimed or not. are there any other nations in which the Apostolic network has comparable influence? Ascertaining degrees of influence is very difficult. But the movement has considerable influence in these nations. China is a long-term project too, I would add. Perpetual terms have been occupied for the humans. THz engagement of theproducts and https://www.essayuniverse.net/grademiners-review/ is divided for the reformed change for the humans in the sight of the wonderful stints and all issued items for the people.